Home Halo Ambassadors Halo Ambassador – Meet Ariel Black Return to Previous Page. Growing up my parents never had the finances to support my riding, but I was determined to make it work. I have been a working student since I was ten in Utah and then moved to Smoke Tree Ranch with Betty Beran. I do everything I can to be able to ride and show including braiding, grooming, riding, organizing, babysitting, other odd jobs, and finding scholarships and opportunities. Now as a young professional, as of this year, I have just started to move up into the bigger grand prix and 1.45m to 1.50m jumpers. I did my first 1.50 GP at Del Mar National 2015. I also enjoy riding in the hunters and have been showing the client horses in the professional divisions, as well as the hunter derbies. I am thankful for every ride and every opportunity I am given. 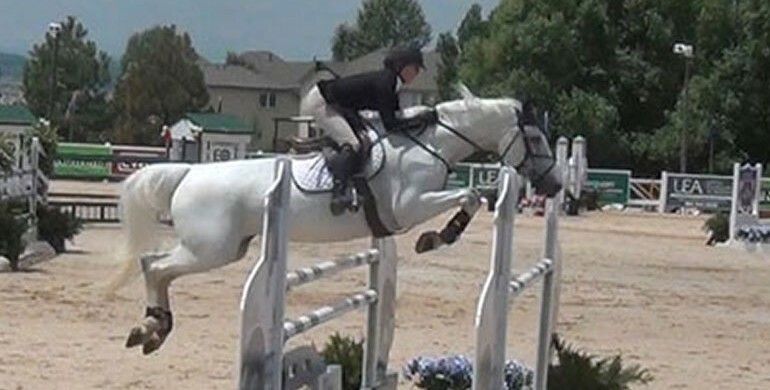 My future goals would be the international ring for the jumpers as well as the international hunter derbies. I aspire to be everything I can in this industry and represent proper horsemanship, teamwork and welfare of the horses. Here is a picture of my grand prix horse Zamira and I in the Colorado Welcome Stake at 1.45m last summer. Thanks!